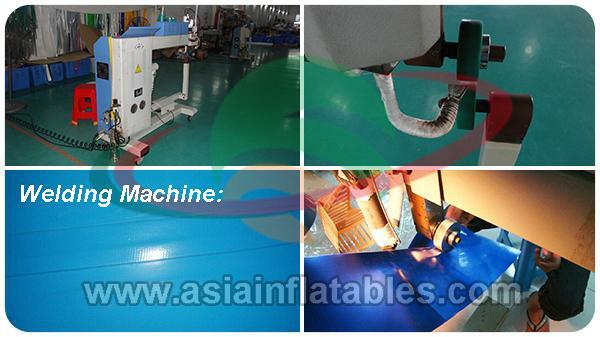 18oz 0.55mm and 0.6mm thickness PVC tarpaulin, which is waterproof and fire retardant . 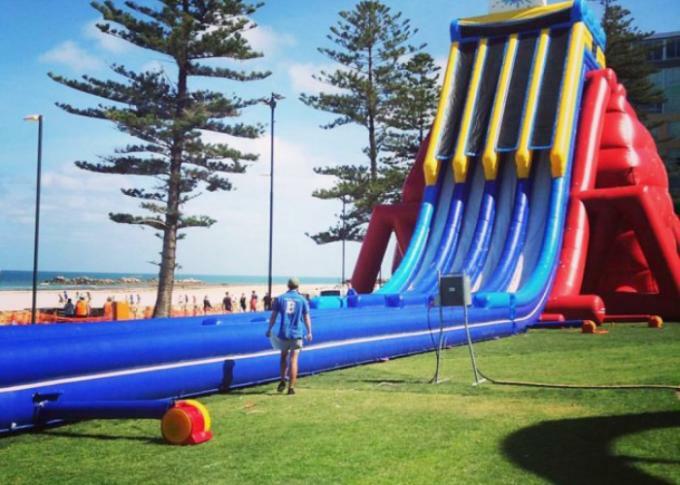 the water slide is hot used on the amusement park, business center, school yard, square etc. We used commercial grade fabric reinforced 0.55mm PVC Tarpaulin. Asia inflatable material is the finest commercial grade fabric reinforced PVC available, Lead free and eco-friendly. All of our goods are used high strength and durable, waterproof and fire proof. Durable Stitching is applied to all our products both inside and outside. And we add double stitching to quadruple stitching or use extra patches on all the stress places, such as the corner, the joint and the forced parts.